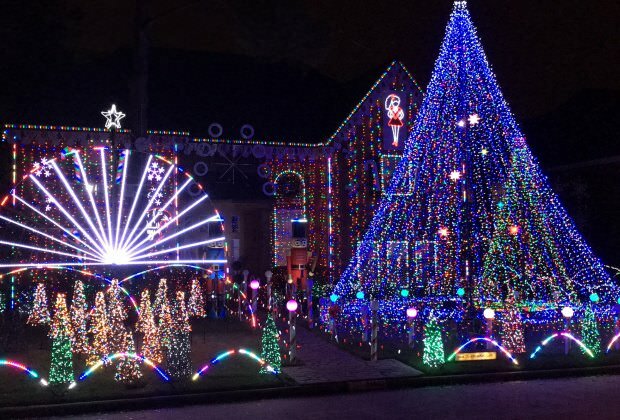 Are you looking for the best place for you and your family to see breathtaking Christmas light displays in Houston and surrounding neighborhoods this year? Start your Christmas right with our 2018 guide to the top holiday light displays in Houston, Texas. Each year families throughout the city of Houston get into the Christmas spirit by lighting up their businesses and homes. Some displays are so detailed that you just have to go out and experience them for yourself. Grab the family and your closest friends and get ready to be astounded by the lights and sounds of Christmas in Houston. Whether you live in north, east, south, or west Houston you wont have to travel too terribly far to see a fantastic Christmas light display. We’ve put together a list of the 10 Best Places to See Christmas Lights in Houston this holiday season. The best part of all is that all of these beautiful light displays are completely free! Keep reading for details on showtimes and locations. This popular neighborhood has been on the map of Houston’s best Christmas lights for years and promises to delight. The group that manages the Christmas light display also offers pictures with Santa through December 14th. 2. 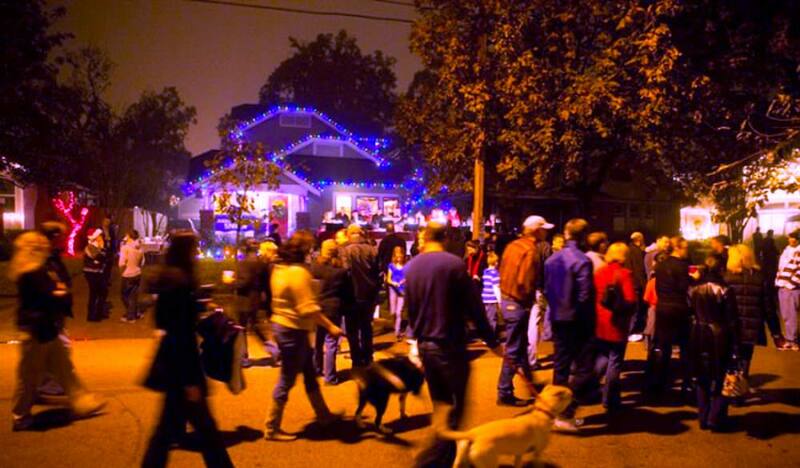 Woodland Heights – This neighborhood is known for hosting its’ annual Lights in The Heights stunning Christmas lights display. The lights generally turn on here around December 8th each year. 3. 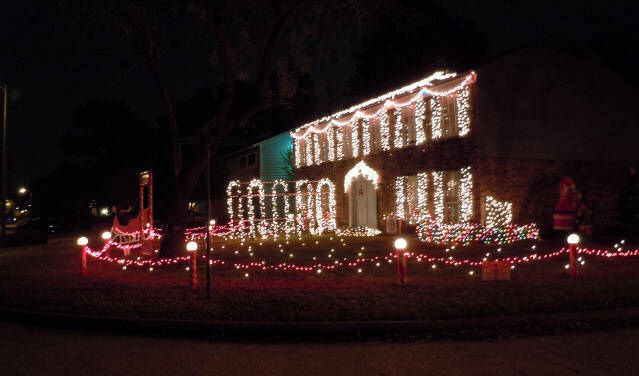 Spring Shadows – Another popular destination for Houstonites looking for Christmas lights, Spring Shadows on Quincannon Lane features its’ annual Candy Wonderland light display. 4. 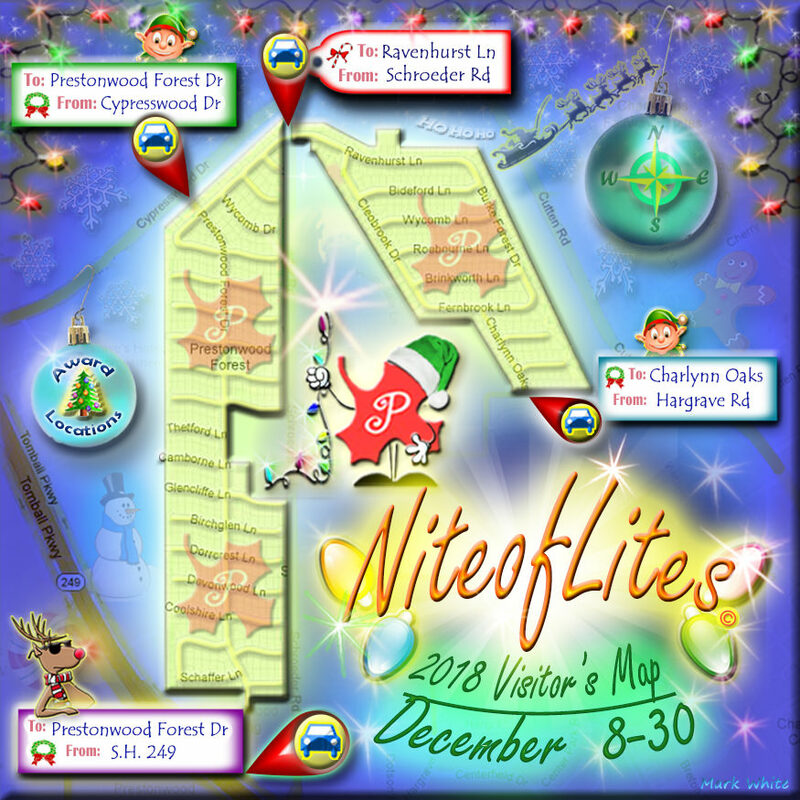 Prestonwood Forest – One of the older neighborhoods in northwest Houston features the 40th Annual Nite of Lights that runs from December 8th through December 30th. 5. Johnsons Christmas Corner – Located in Cypress, this annual Christmas light display promises to delight every member of your family with a combination light and musical display. 6. 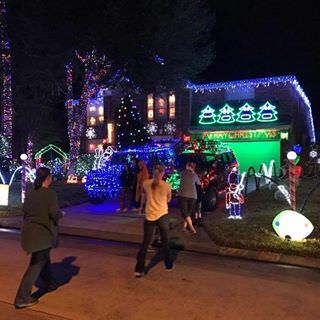 Francks Christmas LightShow – Copperfield is another Houston neighborhood that puts on an amazing light show accompanied by your favorite Christmas songs. 7. 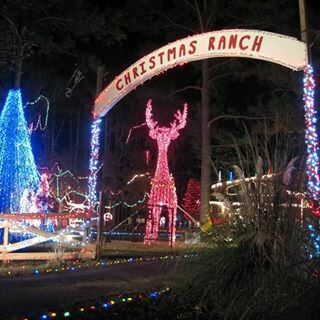 Cleveland – This North Houston neighborhood features its Christmas Ranch lights display that is free for all. This massive annual Christmas display features more than three hundred thousand lights, drive through holiday scenes and a welcoming giant reindeer. 8. 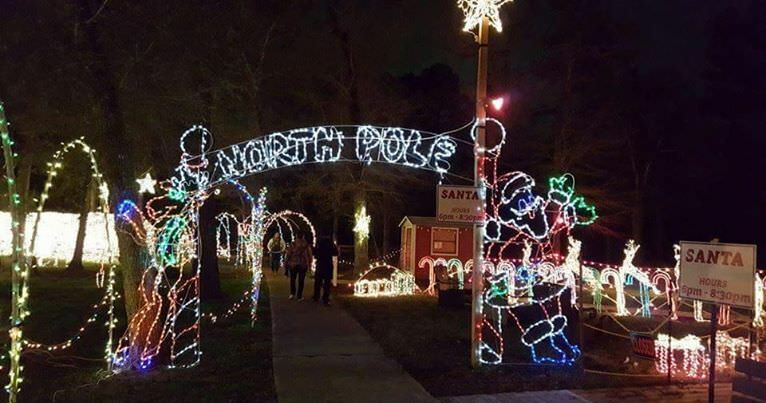 The Woodlands – Dodd Family Holidays is an annual Christmas lights tradition that boasts a two-hour light show featuring 45 of your favorite holiday songs. 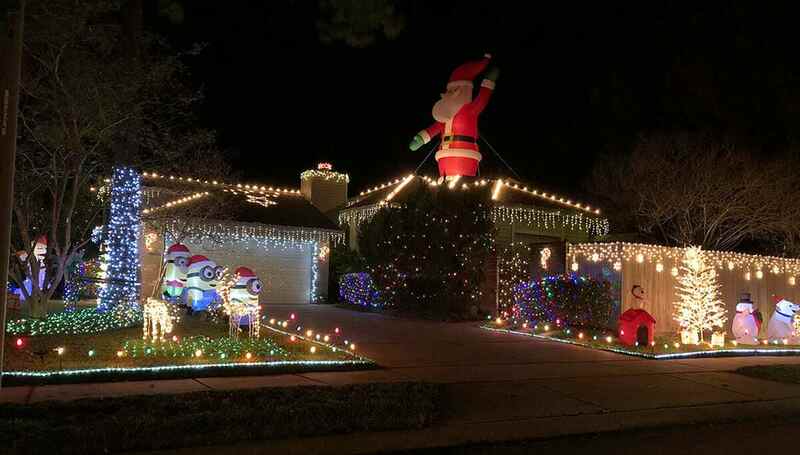 The creator of this display can usually be found among onlookers spreading Christmas cheer. 9. Dickinson Festival of Lights has been operating its’ annual lights display at Hopkins Park since 1998. This is a free community event that runs from November 24th through December 23rd in the Southside Houston park. 10. 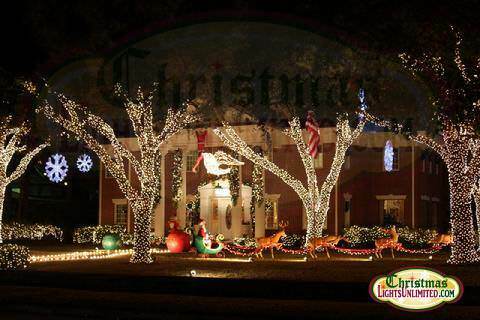 Richmond – Pecan Groves traditional light displays never disappoint at this time of year. This Fort Bend neighborhood with its’ main thoroughfare off of Plantation Drive delivers an annual display of neighborhood holiday cheer. We hope that you enjoy these amazing holiday light shows. Keep in mind that some lights may not be available for viewing due to inclement weather. Many of the locations above have active websites or dedicated Facebook pages to learn more about showtimes and to give directions. Enjoy the show.